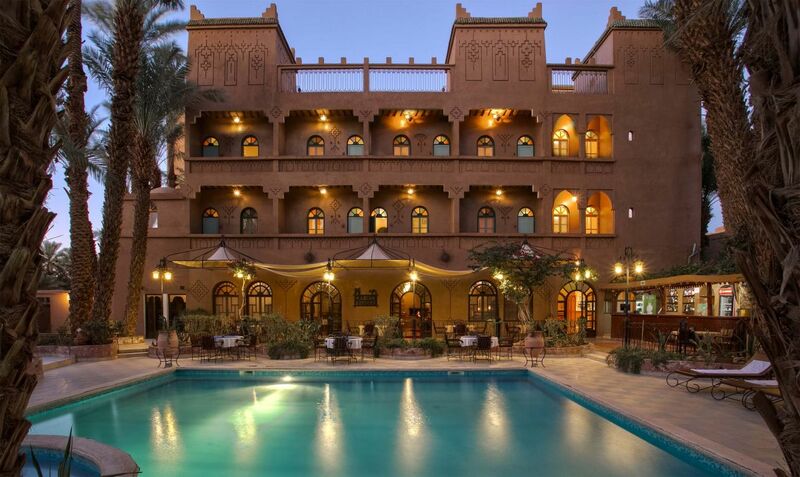 Kasbah Sirocco hotel is a private establishment which is located in Zagora in the south of Morocco, a city which on the one hand opens onto an immense palm grove and on the other hand overlooks the invariable desert. It is a region with a glorious past that had been a crossroad for caravans coming from all directions. Our hotel captures this cultural union and presents a range of products whose roots dive in history.